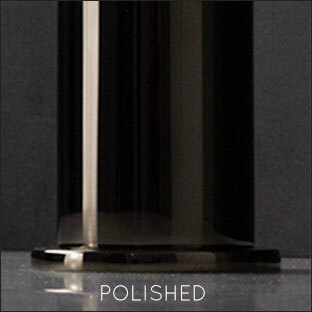 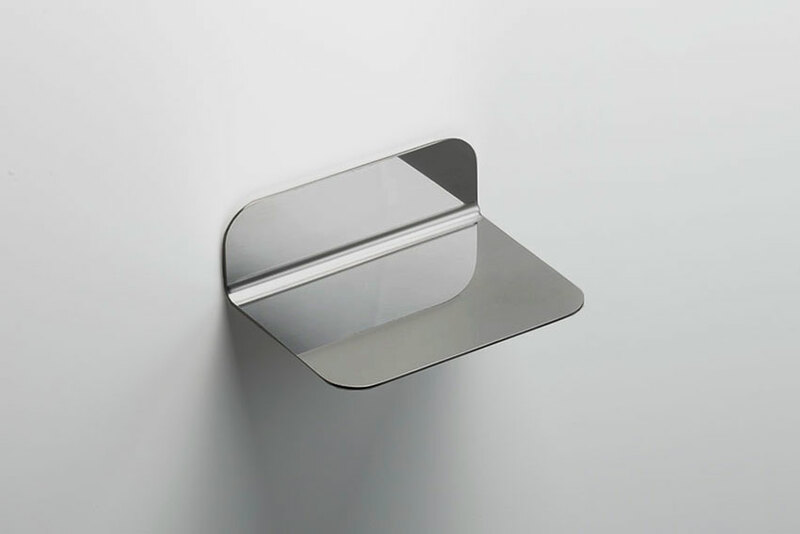 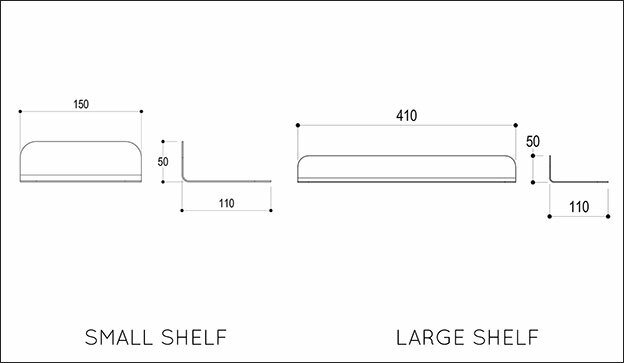 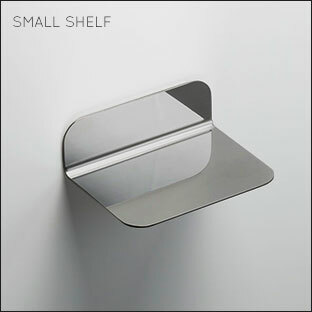 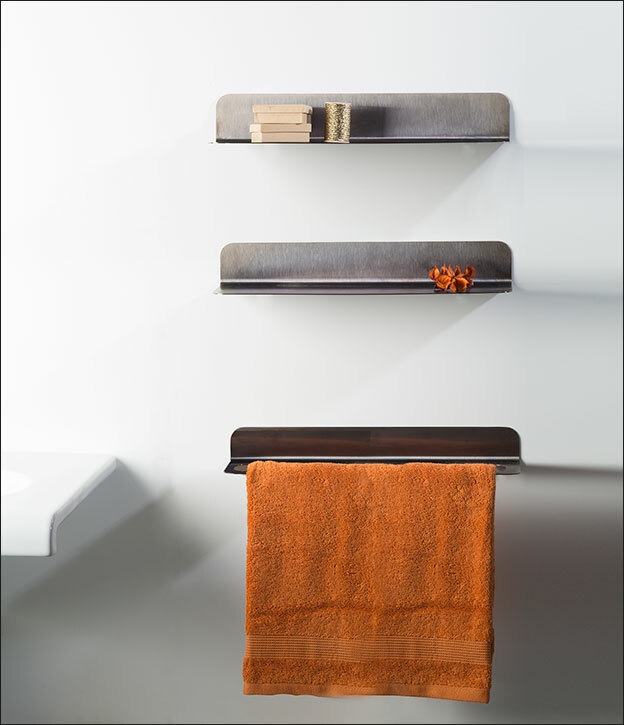 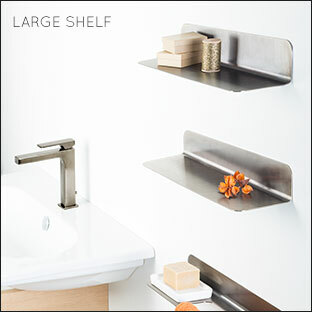 This minimalist bathroom shelf is supplied in small and large sizes and in polished and brushed black chrome finishes. 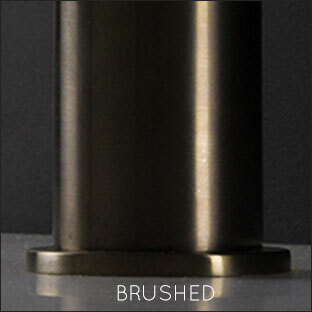 Designed to be screwless fixed, using a strong permanent industrial adhesive. 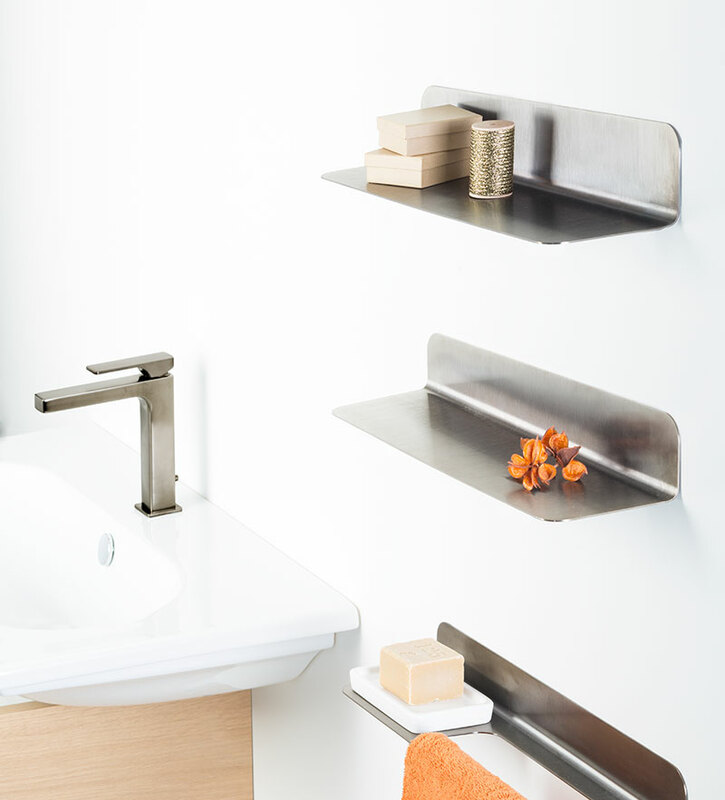 * Matching tap range also available.